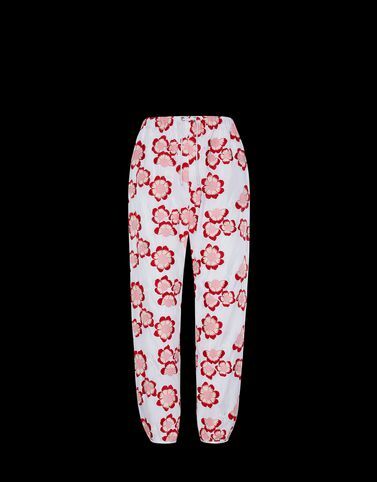 A woman who loves her English garden inspired the 4 Moncler Simon Rocha line, collection n°4 of the Moncler Genius project, to deliver a line of comfortable technical fabric trousers ideal for the life outdoors. Lightweight and soft, they guarantee the freedom to move and provide a touch of personality through the lettering print. Hand wash; Do not bleach; Do not tumble dry; Ironing maximum temperature 110°C - without steam; Do not dry clean; Do not professionally wet clean; Dry flat; Wash separately; Do not twist or wring; do not soak; It is advisable to wash and iron with the garment on reverse.